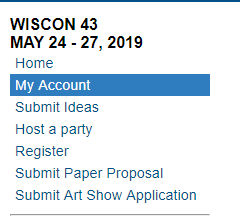 Panel Surveys are open until March 19th Now’s the chance to give YOUR feedback on what panels will run during WisCon 42. The survey is a big part on how programming is decided every year! If you want to more about how panel programming, please view this post for a quick overview. You will need to a WisCon account in order to view the survey. If you don’t have an account, create one at the “Create Your Account” page. For those with an account already created, go to “Log in to My Account” page. You should see the link to the survey once logged into your account. 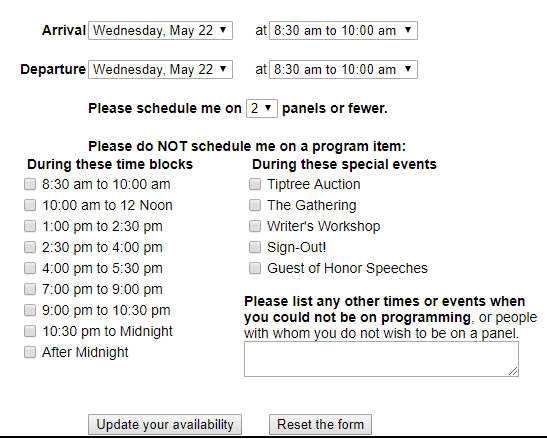 Now, you can choose your panel interests on the panel sign up and attendance interest form!